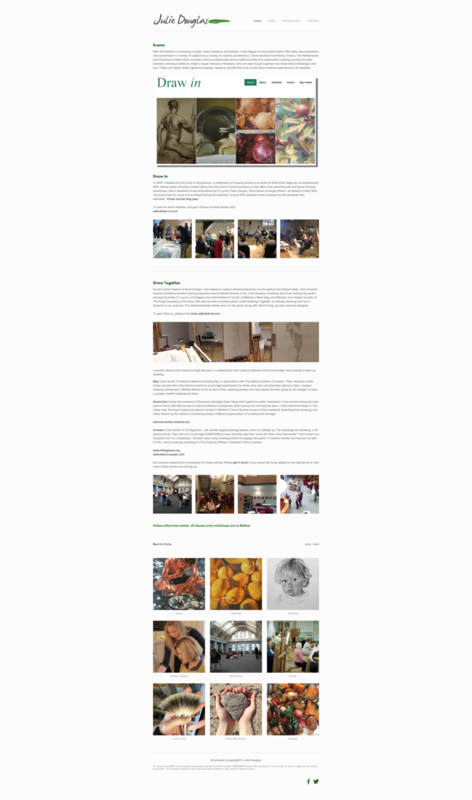 A website and identity design for local artist Julie Douglas. Julie not only paints amazingly, but she also teaches art in her studio. The identity had to represent her love of painting, drawing and art. To do this I used a script font and created a brand mark for her using a smear of oil paint. Julie's website includes her portfolio, information about all her classes and loads of another beautiful things.